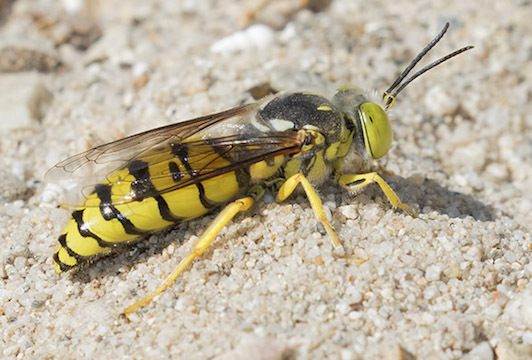 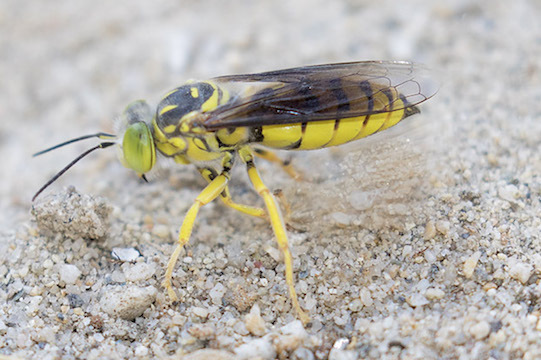 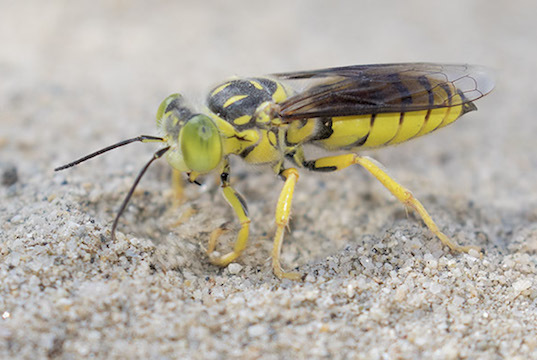 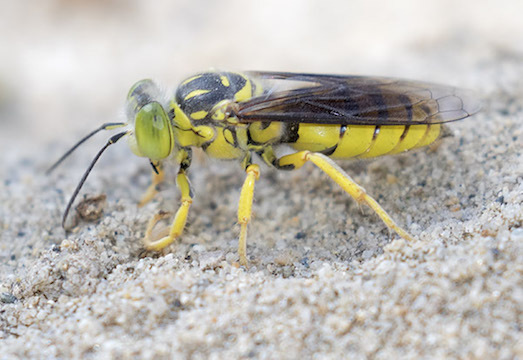 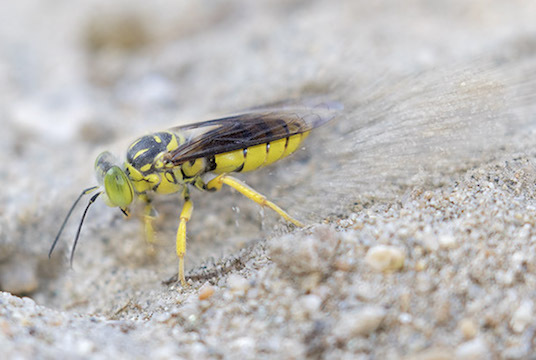 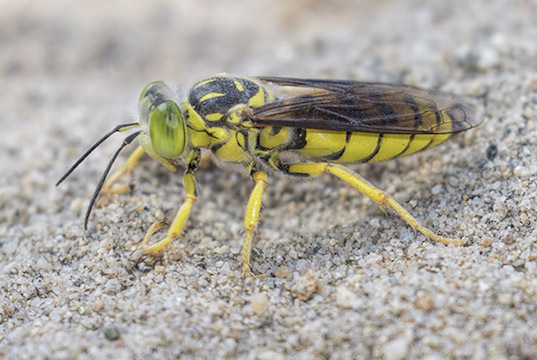 I'm not sure that this digger wasp is -- possibly Philanthus, a genus often called 'bee wolves' because the females catch and paralyze bees to provide food for their offspring. 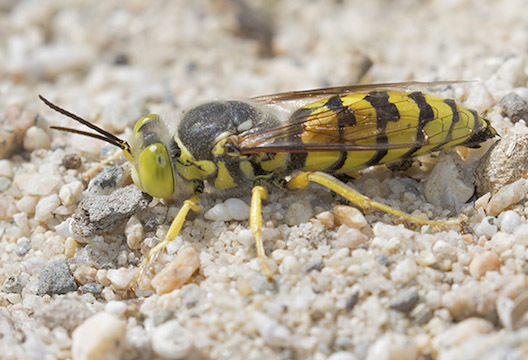 These pictures include both females (with large rake-like forelegs) and males. 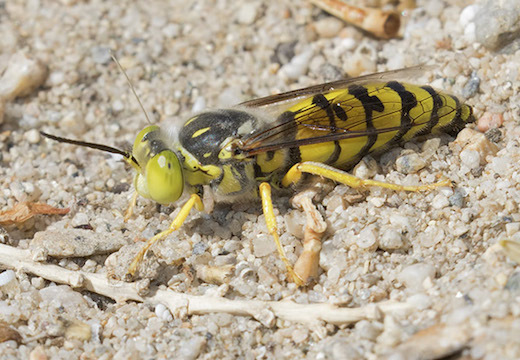 They were attending burrows in sandy soil near the Salton Sea in extreme southern California.